Long Island is known for beautiful sandy beaches, but when it comes to Port Washington you can also find some great courses for golfing. Port Washington is where you can find Harbor Links Golf Course, a public golf course. Harbor Links' award-winning Championship Course features an 18-hole course built on a reclaimed sand mine near existing wetlands. It was built in 1998 by designer Dr. Michael Hurdzan as a links-style golf course. There's also a 9-hole course and miniature golf available. The site is so grand and beautiful that many special events like weddings and bar mitzvahs are also held here. 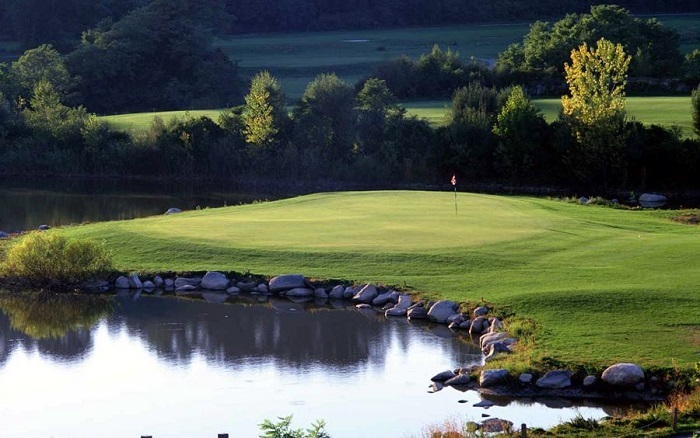 When it comes to finding a golfing destination on Long Island, Port Washington is the place to be! The championship public golf course sits on a reclaimed sand mine encompassing existing wetlands. Step foot onto the green to enjoy an 18-hole course, 9-hole course, or miniature golf course!